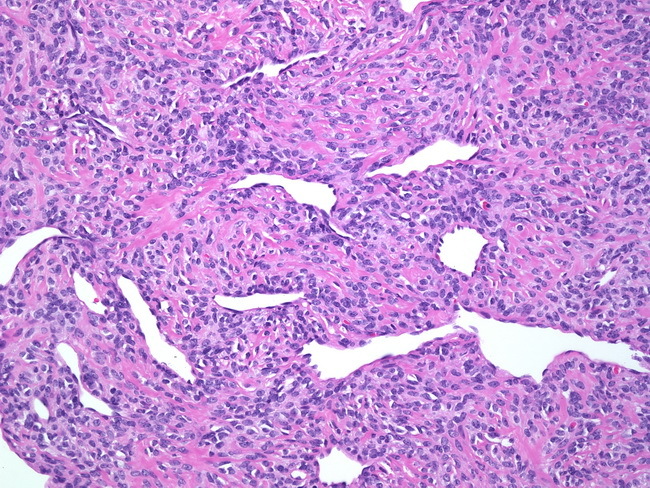 Sclerosing epithelioid fibrosarcoma (SEF) may show hemangiopericytoma-like vascular pattern. The architectural pattern may give rise to confusion with infiltrating carcinoma and sclerosing lymphoma. However, it is negative for keratins and CD45. Despite its low-grade histology, SEF has a high risk of recurrence and can metastasize to distant sites such as lungs.